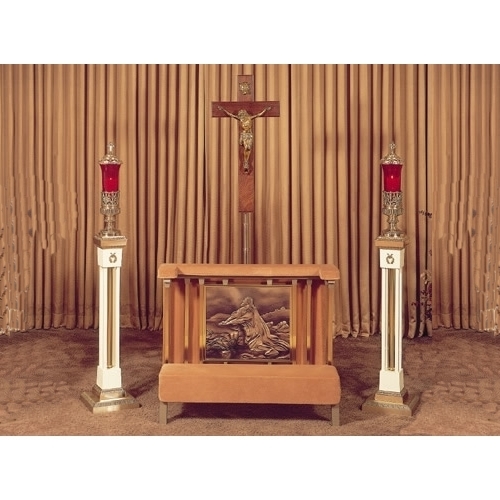 The Imperial Devotional Set by Church & Chapel Metal Arts. Walnut formica on all wood ply construction. Features baked enamel tubes and brass accented bases. The prayer rail is upholstered with velvet fabric that is protected by Scotchguard and is available in the following nine colors: Burgundy, Navy, Blue, Green, Hunter, Beige, Mauve, Gold, Brown.